As most of you know, I’m on a quest to drop a few pounds (OK, more than a few), reboot by lifestyle and get healthy. I’ve been making some pretty major changes to the way I eat and finding ways to incorporate exercise into my life on a more consistent basis. What you might not know is that I’m doing all of this while spending the summer on a small island off the coast of North Carolina with the kids. Yes, that’s right, I packed up the boys and we’re kinda off the grid for the summer months. While it’s an amazing experience to have that’s allowing us to create memories unlike anything I ever imagined, it’s also presenting it’s own challenges. Unfortunately, the hubs had to stay home to work (lucky me can work from anywhere) so I’m balancing the entertainment and management of two children while trying to eat right, exercise more and work remotely. While at first, I worried that these challenge were going to throw me off track, I’m quickly discovering that with the right fuel and a little creativity, maintaining my newly discovered fitness routine is actually easier than I thought! 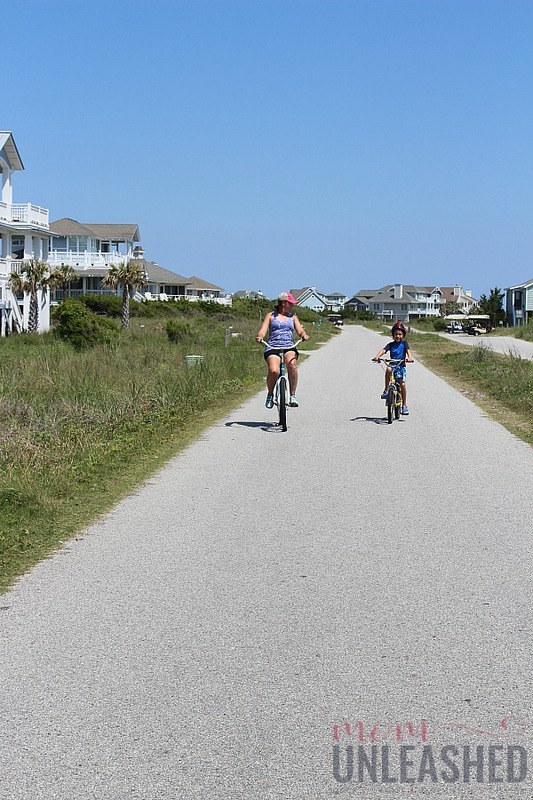 Whether you’re a busy mom trying to work in time for working out or wondering how to fit in exercise while on vacation, read on for my tips on how to maximize your summer workouts, even when you’re on vacation. 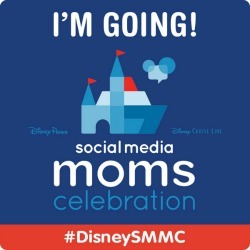 I will admit that for moms, summers can be challenging. There’s no school to drop the kids off at and if you’re like me, you’re on call 24 hours a day. I’ll be honest and admit that I really worried that I wouldn’t be able to keep up the fitness routine that I’ve incorporated into my life over the last few months. However, if you’ve been following my journey to a better me, you know that I’ve dropped 20 pounds and I’m super motivated to keep going! With that in mind, I decided to put together a few simple tips for making summer workouts easier. 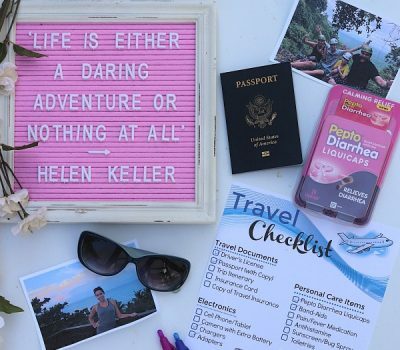 Plus, be sure to read all the way to the end to find out how you can enter to win a prize pack to fuel your fitness goals! I’m going to make an admission…..with the kids out of school, we’re always on the go. Thanks to our new home for the summer, we get to spend the mornings at the beach, the afternoons at the pool and all the in between time exploring. However, that doesn’t leave much time for me to think through meals and snacks. While it’s pretty easy for me to grab something for the kids, my goal of fueling my new lifestyle with high-protein meals and snacks that not only fuel our adventures but fuel my workouts as well can be a challenge. I want easy but I also want delicious. I want to know that when I do get 30 minutes in for a quick workout, I’m maximizing my benefits and not sabotaging my efforts. That’s why this summer, I’m fueling my newly found love of being active with Optimum Nutrition® products that taste amazing and are a perfect fit for my active summer lifestyle. My brother is a fitness freak (I do mean that in the kindest way) and a while back he introduced me to Optimum Nutrition® Whey Protein Isolate. He recommended it to me as a supplement to help me make the most of my workouts and after trying it, I fell in love. 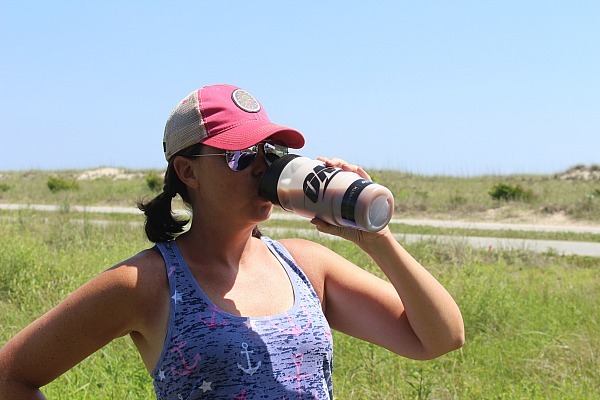 It’s perfect for active, healthy adults like me that are looking for high-quality protein and comes in an easy-to-mix powder that has much of the fat, carbohydrates and sugars “isolated” out, meaning that I can fuel my workouts with a delicious shake that has 25 grams of protein and just 130 calories! These delicious shakes that are available in Chocolate and Vanilla help to build and strengthen my muscles while being free of artificial colors, flavors and sweeteners. It contains no banned substances and tastes like a treat that I can enjoy before or after workouts. 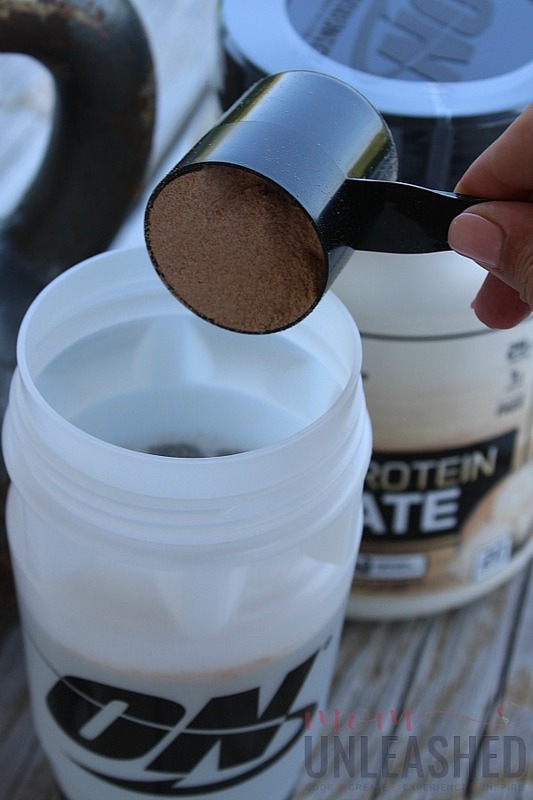 I love to add a scoop of the Chocolate Optimum Nutrition® Whey Protein Isolate to my shaker bottle for a pre or post-workout snack that really fuels my day and gives me energy to push myself harder and fit in workouts even in our relaxed summer schedule. 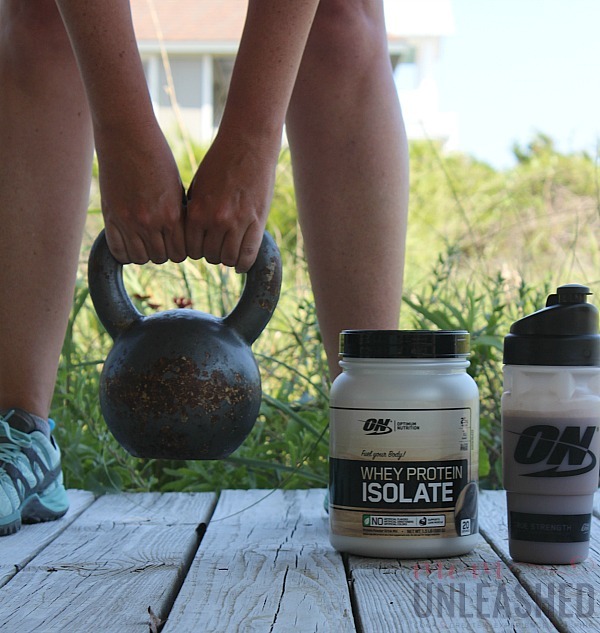 While Optimum Nutrition® Whey Protein Isolate is my go-to for pre or post-workout snacks, I’ll admit that keeping up with these kids all by myself all summer has left me feeling a little drained. Knowing that Optimum Nutrition® is a brand that fuels my goals, I’ve started incorporating Optimum Nutrition® Performance Energy into my mornings. With about as much caffeine from natural sources as a cup of coffee with 3 grams of muscle supporting amino acids, it’s the perfect way to start my day and give me the boost I need to get going and get active. 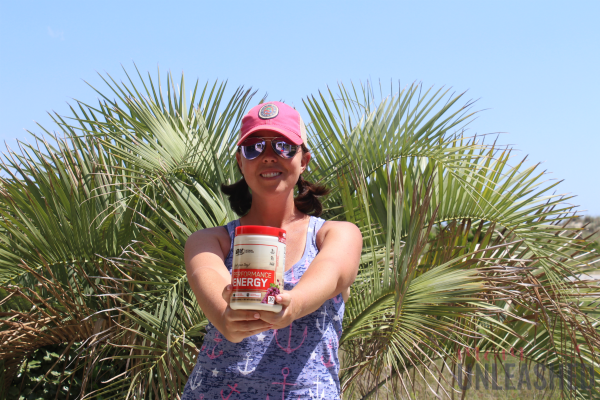 While coffee can be hot and, well, ick during the warm summer months, Optimum Nutrition® Performance Energy is a delicious fruit-flavored powder that can be mixed into cold water using just a glass and a spoon! It’s great for enjoying with my eggs before we head out for our walks on the beach or as an afternoon pick-me-up before we head to the pool for swimming. 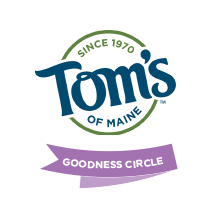 With grape and watermelon flavors, it’s become a summer favorite of mine that helps me stay active and keeps my energy levels up (use only as directed). While I have no problem with drinking my way towards a healthier me, I’ve discovered this summer that sometimes mama needs something that feels like a treat! 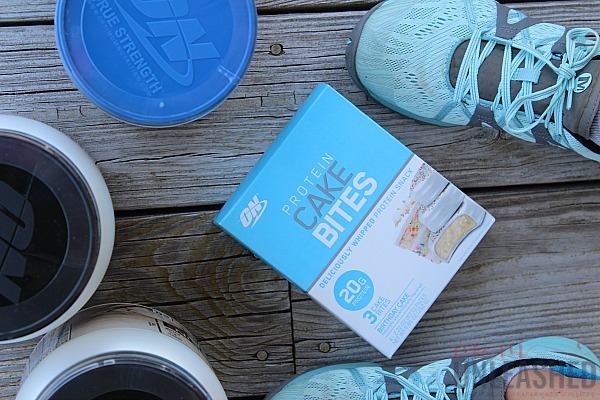 That’s why the final item in my better-for-me trifecta that’s fueling my active summer is Optimum Nutrition® Protein Cake Bites. 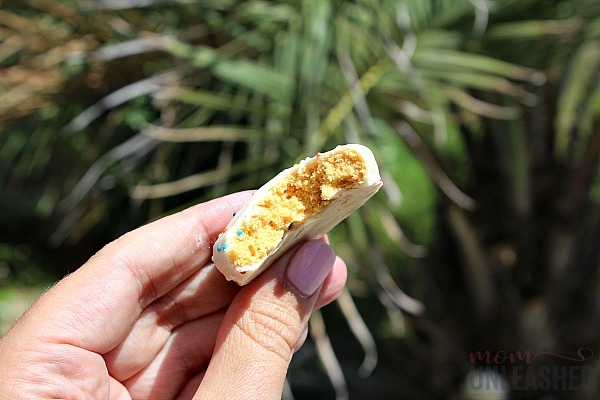 Trust me when I say that these delicious whipped protein snacks coated with yogurt or chocolate flavored frosting feel like a total indulgence while still packing 20 grams of protein in each 3-cake serving. They are my go to for when I’m wanting to give into temptation and the fact that they help me stay on track and even fuel my workouts while tasting a little naughty is a total win! 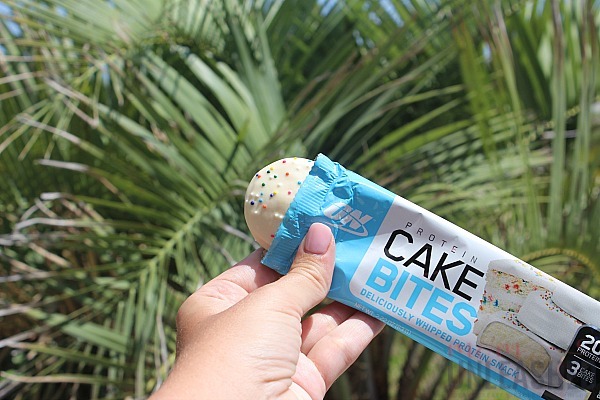 With flavors like Birthday Cake, Red Velvet, Chocolate Dipped Cherry and Chocolate Frosted Donut, this grab and go option is my go-to for an afternoon snack that leaves me feeling satisfied and ready to power through the rest of my busy day! By incorporating these Optimum Nutrition® products into my summer fitness routine, I’m being able to build lean muscle, limit my carbs and sugar and ensure that I’ve got the protein I need to push through to my fitness goals! Whatever your summer goals are, look for all of these products at Walmart today to help you fuel them. Since I’ve got the right Optimum Nutrition® products to fuel my workouts, the next challenge is finding time to workout with two kids who are ready for adventures at each and every moment. While I do hit up the gym during the school year, I’m finding that during the summer, it’s just not that easy. Instead, I’m replacing my gym workouts with summer activities that I can enjoy doing outside. It’s important to remember (especially when you’re on vacation) that working out doesn’t have to happen in the gym! I much prefer the option of grabbing weights or using resistance training while enjoying the beautiful weather outside. Even better, bike rides, jogs on the beach or even playing heart-pumping games of football or frisbee can be a perfect way to get in some cardio. 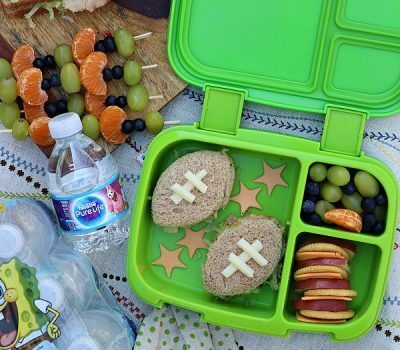 The truth of the matter (at least for me) is that if I can find ways to be active with my kids while fueling that activity with Optimum Nutrition® products, I can continue to reach my fitness goals even with the unpredictable schedule that summer brings. Now it’s your turn! Whether you’re making time for the gym each and every day or finding ways to rethink your workout (like me), be sure to fuel your summer fitness with Optimum Nutrition® products from Walmart! Want a jump start on living the active summer you’ve always dreamed of? 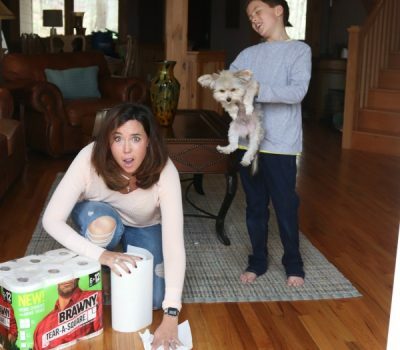 Right now, you can enter to Get Out Get Active at Walmart Sweepstakes! One lucky winner will receive an awesome prize pack that includes a Schwinn Bicycle, selected Optimum Nutrition® products as well as head to toe Avia active gear! It’s the perfect prize pack to get you on track towards a healthy and happy summer so be sure to enter here today! Then tell me, what’s your favorite way to work out during the summer months? You have such great tips here. I STINK at working out when I am traveling. I always WANT to, but then never do. I need to start doing more workouts while on vacation. I admit, I slack off since I AM on vacation. But I should still do something! While I’m not so much of a fitness freak, my husband is. He’s always needing more calories and fuel to burn, so I’m sending your info his way. I travel with my protein power too. I don’t always get in the best workouts but I know I can at least get in a good shake or two. It is great that you have managed to find a good workout away from the gym. I am planning on keeping up my regular routine while my kids are out at their daily activities. These are wonderful tips! 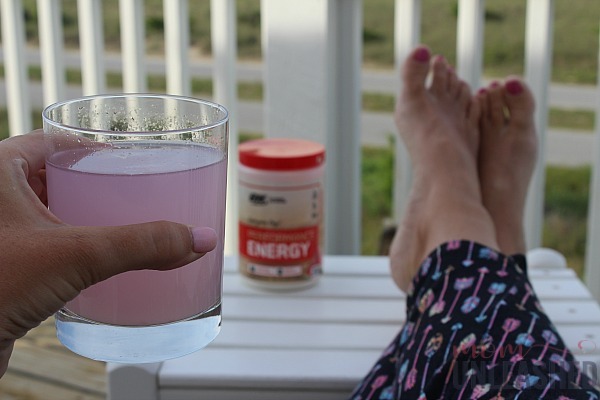 It’s so important to stay on track health wise while on vacation. These protein snacks are getting more appetizing by the day. 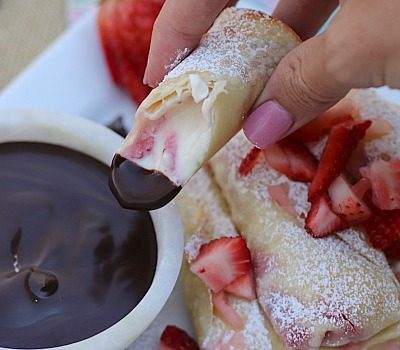 How cute and delectable do those cake bites look! 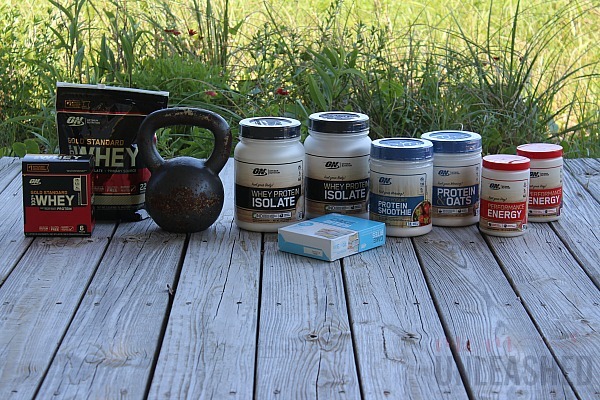 My husband swears by whey protein isolate for gaining muscle. Must admit that working out and eating healthy while on vacation is not the first thing that comes to mind. I should be more aware and at least try to eat healthy and do some kind of work out. This is so inspiring. I just recently started working out, and have a long way to go before I will be in “good” shape. I’ve heard that it is important in increase protein in-take while working out. These look and sounds like great options. I need motivation ideas like this. Sometimes I used our traveling to have excuse to not care about staying on a healthy diet. Thought we make sure when we’re on vacation we do some walking here and there as sort of an exercise. Would love that cake bites!! i hope that is available to my country. I admire how you are passionate in working out. 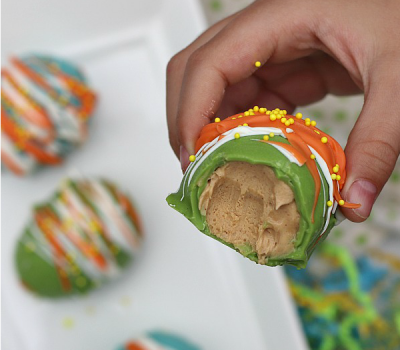 These seem like great snacks! We tend to have very active vacations with activities planned so that is mainly how I stay healthy and active on vacations. Looks like you have a good system going. It gets so hot here in the summer, it is important to be prepared. Are those Merrell sneakers? I have a new obsession with Merrell shoes and those are cute! This is great you’ve got a good discipline to workout even while on vacation! it is so important to stick with it! I think it’s awesome that you workout while on vacation!! I wish I had that kind of motivation!! LOL!! This is brilliant! We have been planning to go on a couple of escapades and this is great. I totally need to get back on my pre pregnancy weight. 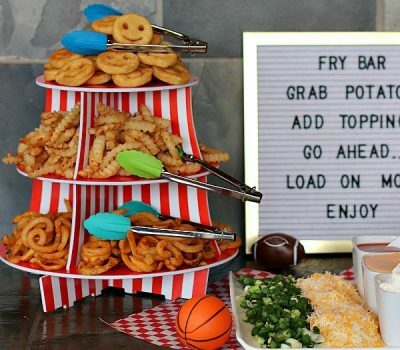 Oh my, you had me at the cake bites. These are great tips. I like running wherever I go.